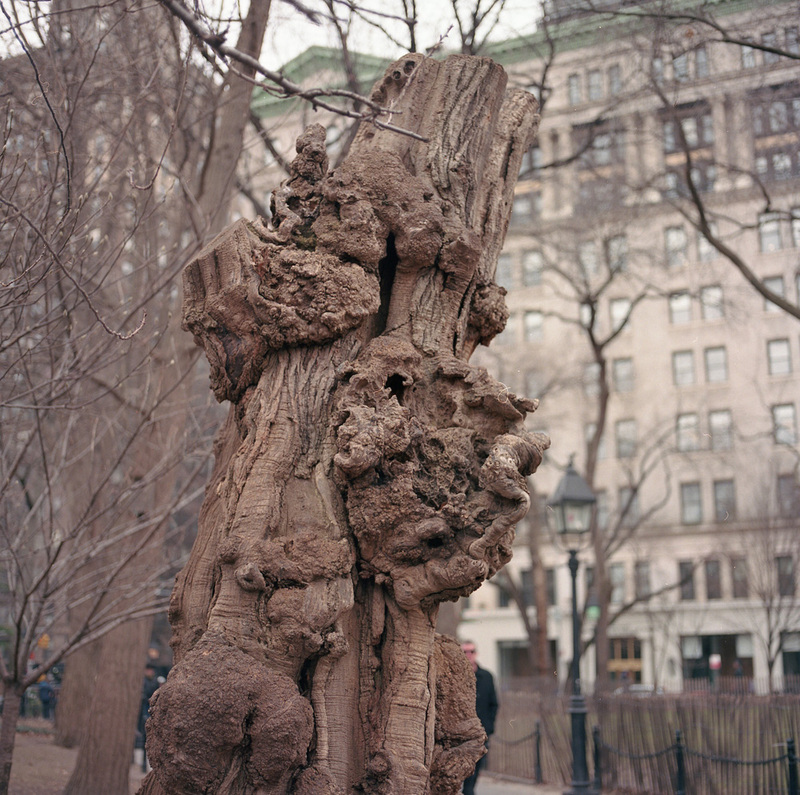 In my free time, you can often find me wandering around New York City inspecting trees. 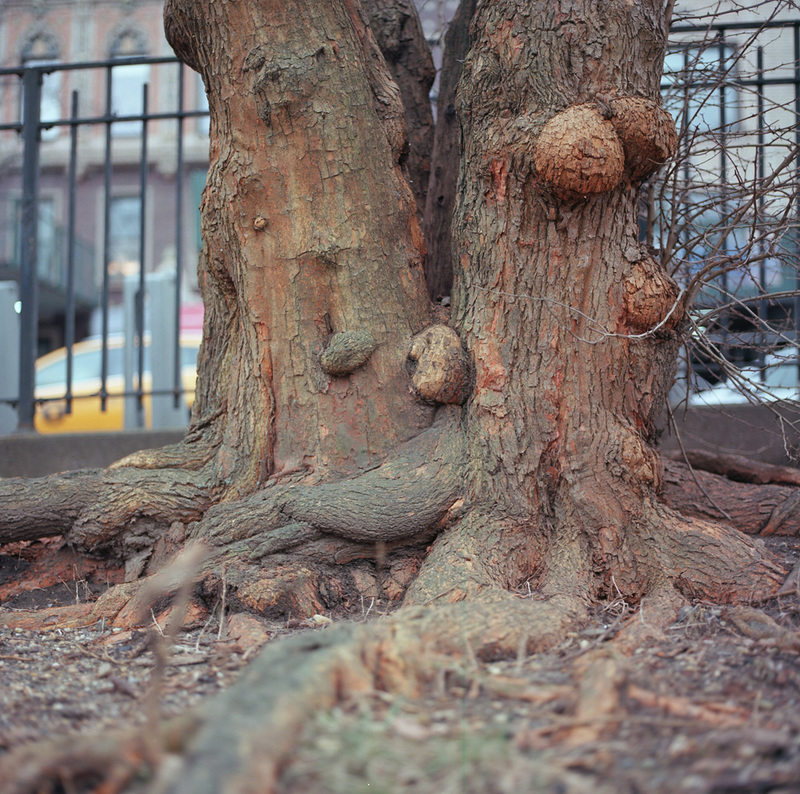 Despite being an urban area, NYC is home to over 5 million trees and 168 different species. Along with providing shade and beauty, trees serve an important role in removing pollution from the air. Most of these photos were taken on 120mm film in 2019. 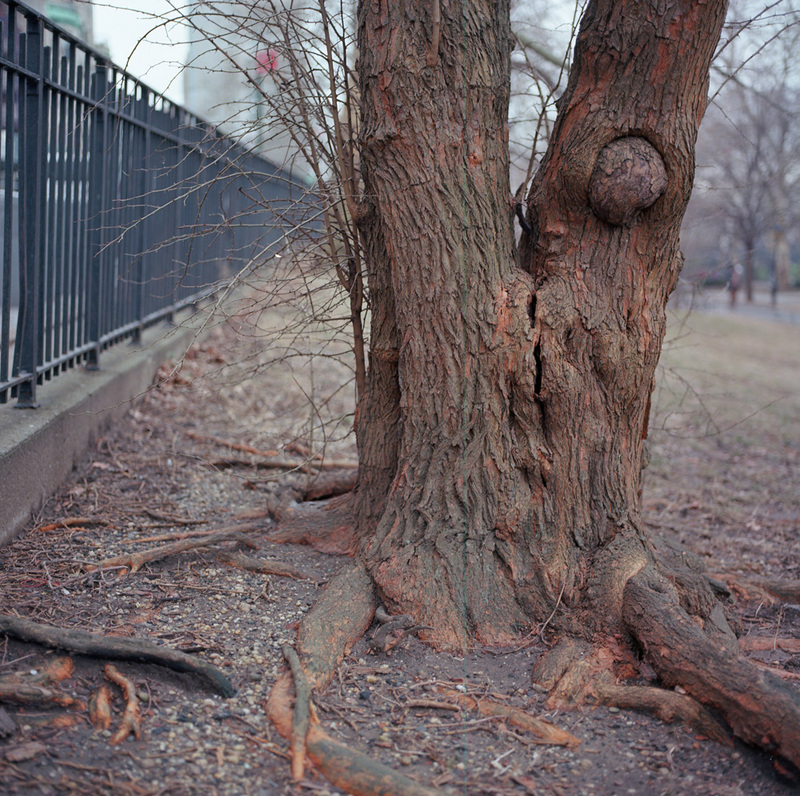 Three photo panorama of Fort Greene Park in Brooklyn. As of Spring 2019, there are proposed plans to remove the six Zelkova trees in the foreground along with about 40 other healthy trees.